Bird control on an important project. We are pleased to be providing Bird Control, a natural deterrent for a large project in teeside. 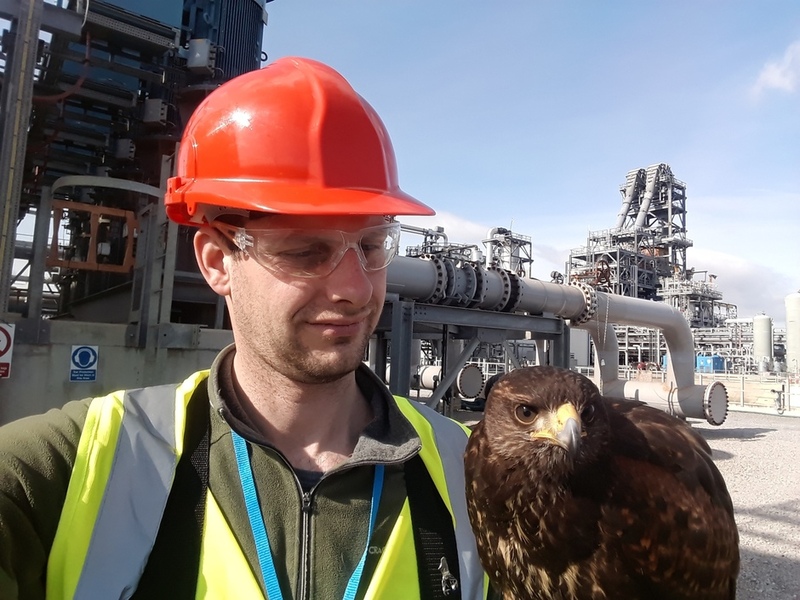 By using our birds of prey to deter gulls and pigeons from nesting on the site, which would prevent construction work on a new essential power plant, diverting waste to landfill. Using birds of prey is the most natural method to use, our birds are trained to fly to the falconers and not kill the species just deter them from the area. There are important wildlife areas and nature reserves surrounding the site and we need to ensure there is minimum disturbance to non target species. 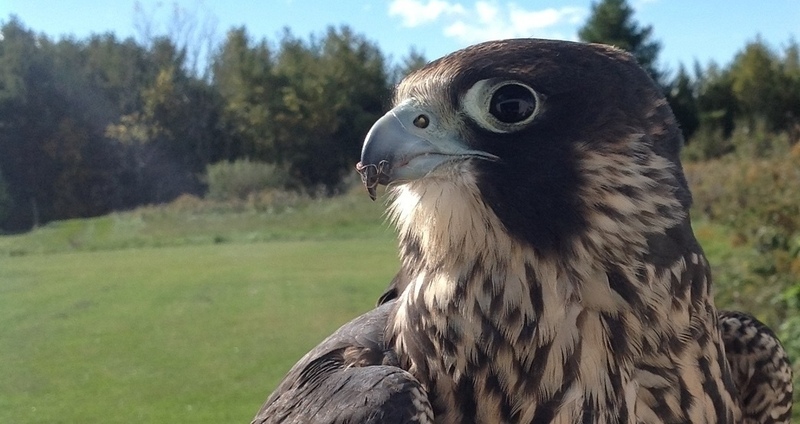 Using falconry there is no need for nets, spikes or artificial deterrents and again further reduces the risks on non target species. More details on the project below. The waste-fired power plant is being constructed on 2,000-acre of land in Wilton International industrial estate near Redcar in Teesside. "The waste-fired power plant is being constructed on 2,000-acre of land in Wilton International industrial estate near Redcar in Teesside." The waste to fuel the power plant will be collected from households and businesses in Merseyside from five MWDA boroughs in Liverpool, Knowsley, Sefton, St Helens and Wirral as well as from the Halton Borough Council. The project involves the development of rail loading waste transfer station at an existing rail-linked warehouse in Knowsley Industrial Estate from where the waste will be transported to the waste-to-energy project site via existing rail links. Fixed gantry cranes will be used to load and unload waste containers from the train. A dolly mounted tipper will empty the boxes containing waste into the concrete bunker of the energy facility. The waste is then loaded into a hopper with the help of grab crane to feed the furnace where the reverse-acting grate begins to burn the waste at very high temperatures to generate flue gases. The hot flue gas passes through two boilers to produce steam for the generation of electric power. "The clean electricityto be generated by the new 450,000t per year capacity waste-fired power plant will be fed to the national grid and will be enough serve 63,000 UK households." The clean electricity to be generated by the new 450,000t per year capacity waste-fired power plant will be fed to the national grid and will be enough serve 63,000 UK households. The facility will supply heat to adjacent industrial businesses through a district heating system. The Teesside EfW facility, over its expected life span of 30 years, will utilise approximately 90% of waste diverted from landfills, reduce the consumption of fossil fuels, and offset around 127,335t of CO2 emissions per annum. The plant will use thermal oxidisers to decompose hazardous gases at very high temperatures before releasing them into the atmosphere. The flue gas will be treated using hydrated lime and activated carbon injection. The advanced energy-to-waste facility will also separate recyclable material of more than 126,000t per year, which can used for manufacturing recyclable plastic materials.